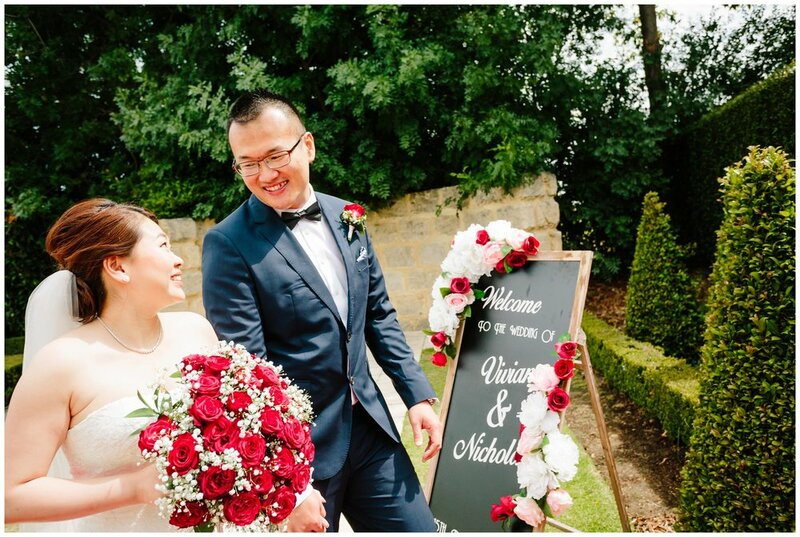 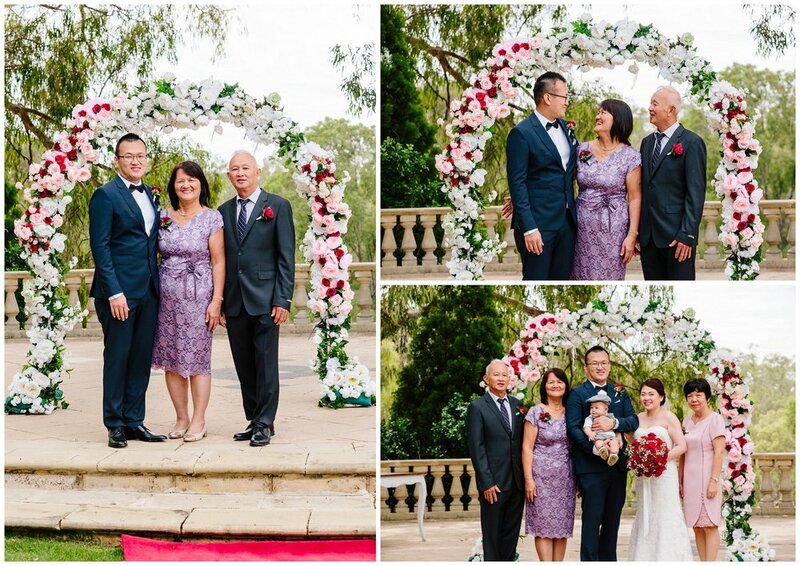 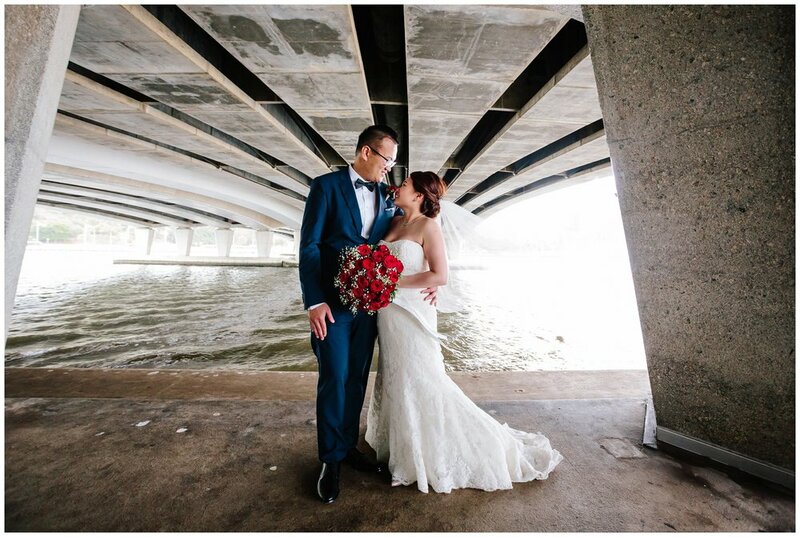 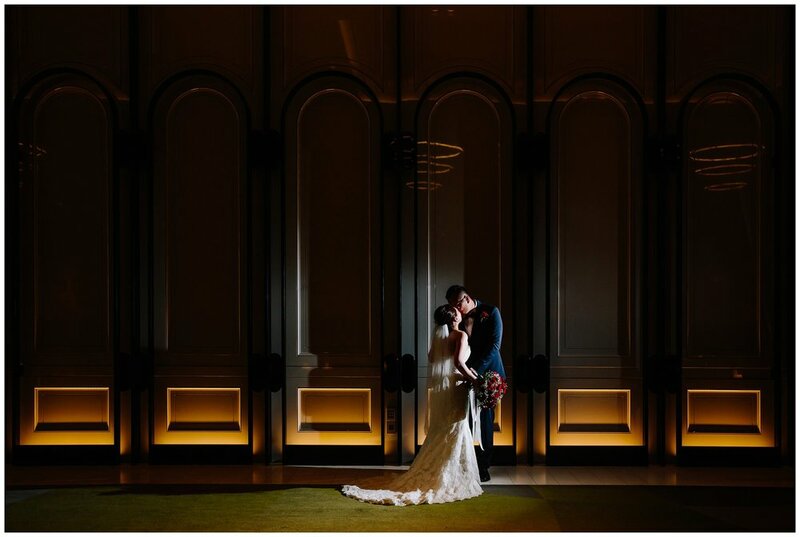 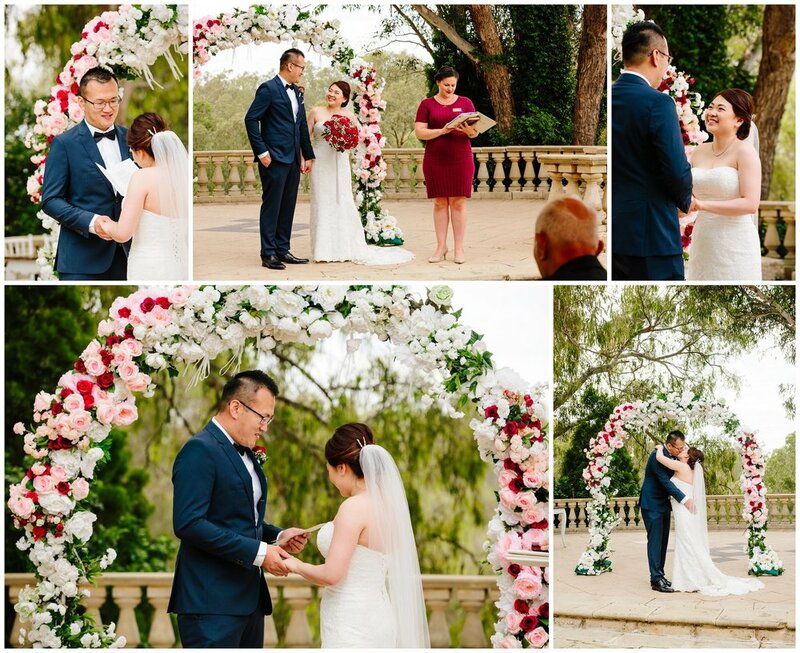 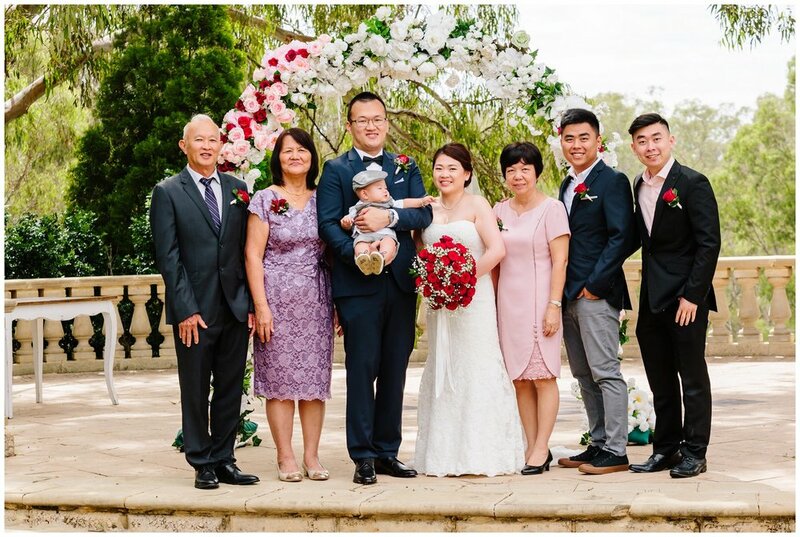 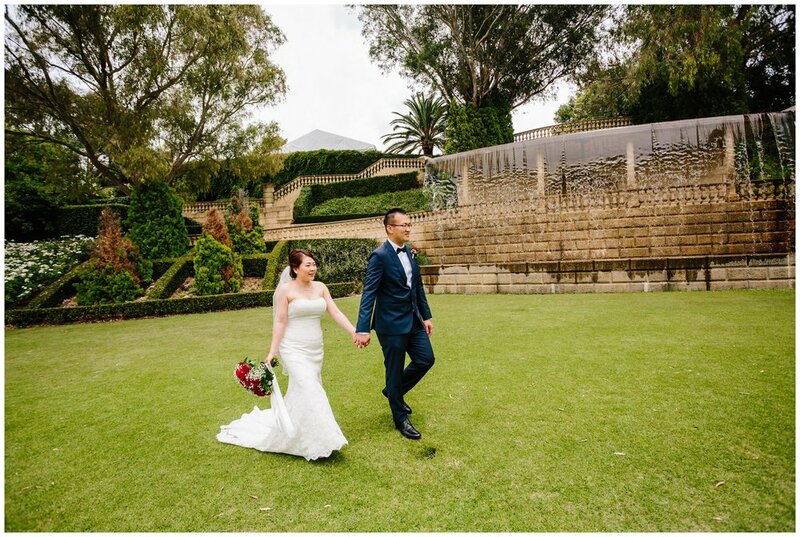 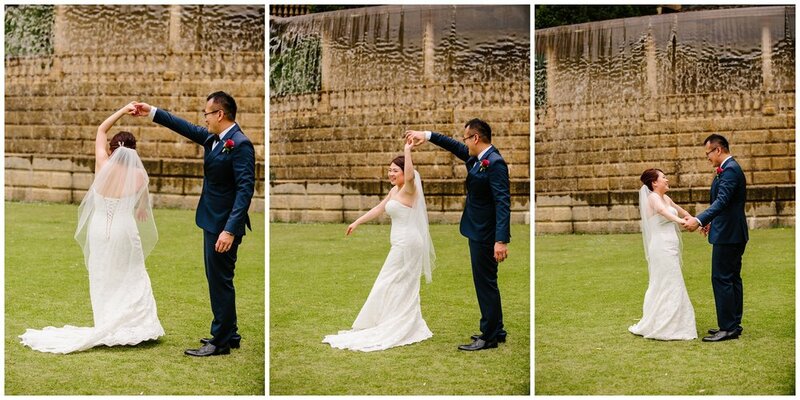 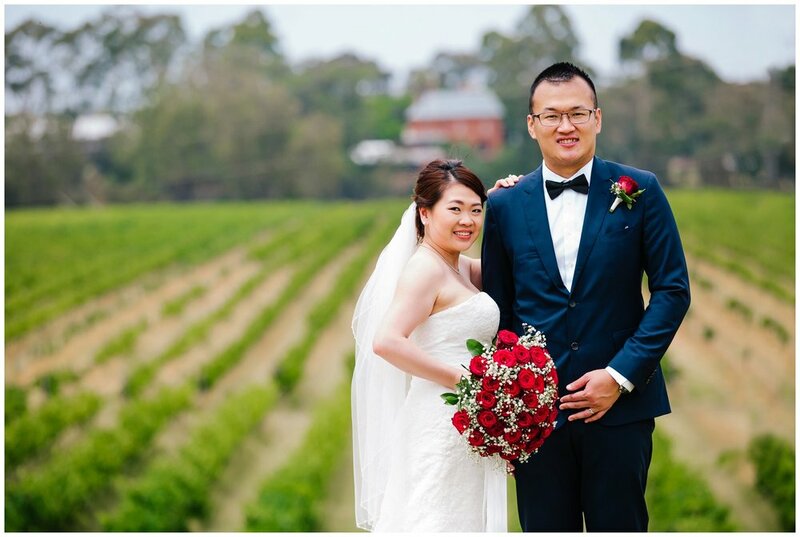 Vivian and Nic had already had a wedding in Malaysia, but this was time to celebrate with their closest family members in their new home of Perth. 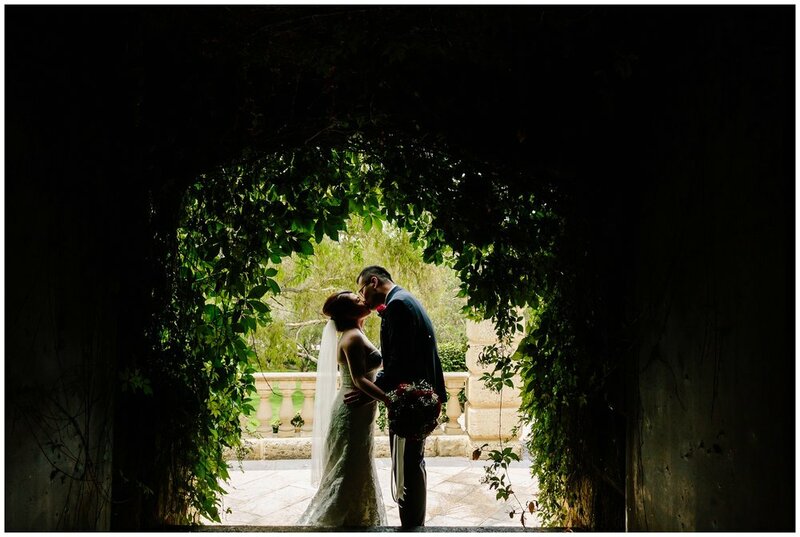 Their morning ceremony was in the Colonnade at Caversham House which is a stunning spot with topiary galore. 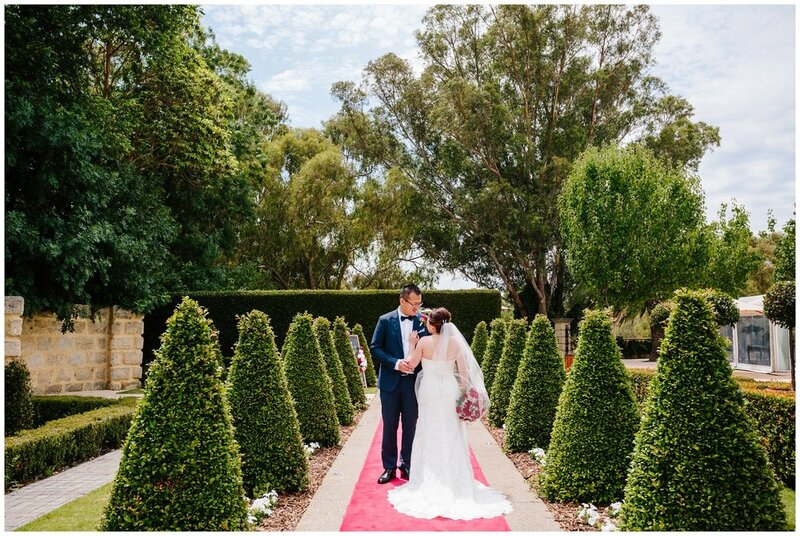 We then spent the day with this lovely couple taking photos in the Swan Valley, with a quick stop off at Riverbank Estate, before heading into the city. 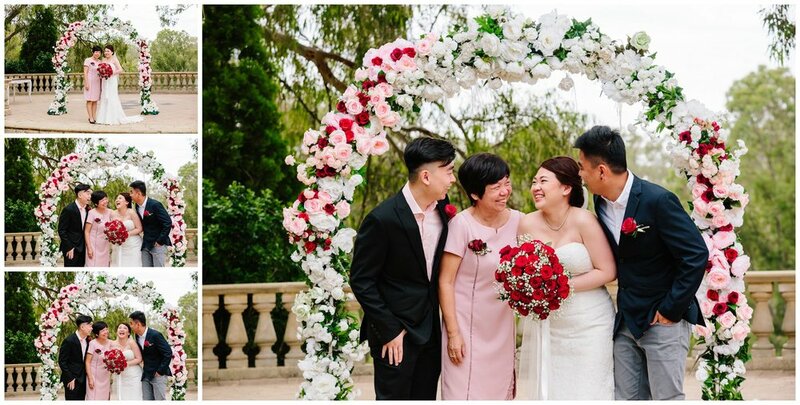 With some more photos at some of our favourite locations, Hyde Park and Crown Towers, we finished on the South Perth Foreshore so they had a chance to rest up before joining their family again for an intimate dinner.